The end of the financial year is rapidly approaching, if you haven't already done so you have until the 5th April to use this year's adult ISA allowance of £11,520, which can all go into an 'investment' or 'stocks and shares' ISA or up to £5,760 in to cash and the balance of your allowance available for investment ISAs. The Junior ISA allowance is currently £3,720 per year. From the 6th April the adult ISA allowance rises to £11,880 with the maximum cash ISA investment allowance being £5,940. The Junior ISA allowance is rising to £3,840. An ISA should be the very first point of call for anyone when starting to save or invest, but one of the first things you need to think about is do I want a Cash/Savings ISA or is an Equity/Investment ISA the most suitable for me. Why are you putting money away? When do you think you will need to access the money? Why are you putting the money away? If you're trying to build up a pot of money so that you can meet the expenses of an unexpected bill or other financial hiccup then a Cash ISA is definitely the first type of account you should consider. It's stable, easily accessible and always there when you need it. If however your wanting to build up a fund to use in the future either to provide you with an income later in life, to meet a specific financial goal such as covering the kids or grand kids university costs then an Equity or Investment ISA is likely to be much more appropriate. The return is likely to be a little more volatile but over time should be greater so you have to put less in to get more out. If you believe that you might need access to your money in less than 5 years then a Cash ISA will most certainly be the best option for you. However, if your target is way off in the future then an Investment ISA is likely to be a far better option. The longer you are willing to hold an investment for the poorer value it makes cash ISA look in comparison to an Investment ISA. The real return on cash savings can be quite poor in times of high inflation (such as now) and low interest rates (such as now). Real return refers to the rate you are receiving on your savings or Cash ISA minus the current rises in the cost of living (inflation). Currently (December 2013) the Retail Prices Index (A traditional measure of inflation) is running at 2.7% per year and the top rated instant access cash ISA is 1.51% per year. So in real terms the value of the money invested in that account is being reduced by 1.09% per year due to inflationary erosion. So even though the saver has achieved one of the best rates on the high street the value of their money is still falling. Now if this is short term savings for an emergency etc. then that is something you just have to accept, but if this is money that won't be needed for many years perhaps you should consider if an equity/investment ISA would be more prudent. You should take advice from an adviser, such as myself, before entering in to any form of long term investment. Below you will see an interesting graph, it shows the change in value of £100 invested in either UK Equity or saved in cash since 1958. 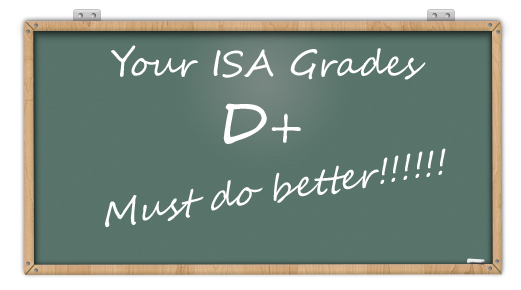 Potential clients often approach me about their existing ISA investments with comments along the lines of; "My ISA portfolio is underperforming I would like to transfer it to another one" it's a loaded question and one that I'm sure I could acquire loads of new clients from if I just replied "OK"
In a recent blog post pointing out the benefits of using an adviser such as myself to arrange your life and critical insurance. One of the key points I made was that we can get you a great deal on price but I also pointed out that not all policies are the same some are more generous than others on certain conditions than others and an adviser can help you to decide when it is worth paying a little more for a better policy or for one that has a more generous definition on a particular condition that you may have a particular concern about. So I thought I would give a few real world examples and starting at the top of the alphabet we have Angioplasty. Critical Illness insurance is a something that I am particularly passionate about. I have learned firsthand the benefit the cover can bring an it is more than money. For those of you who don't already know in 2011 my wife was taken ill with what later diagnosed as Multiple Sclerosis, it was just 14 months after our twin boys had been delivered stillborn which had a negative financial effect on us as a couple as my wife had taken a significant period of time off work and I had taken a backward step with my work just looking after my existing clients for a while and not taking on any new business. Just knowing that we had insurance in the background made a big difference to us, in the short term. I was able to attend all her appointments with her and generally be away from work without worry. 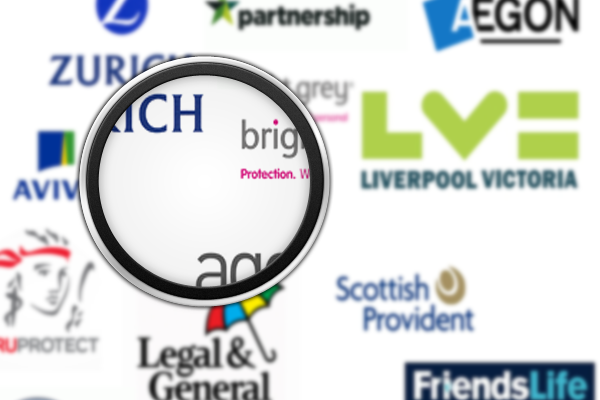 Read more: Life Insurance & Critical Illness - Why you shouldn't buy from a search engine.